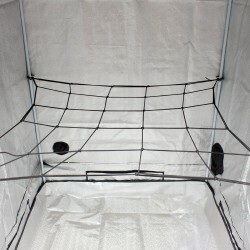 This multi-layer LightHouse Round DryNet has been designed to hang in a growtent to allow customers ..
LightHouse StretchNet is made from the highest quality elasticised cord that is knotted into one pie.. The PlantIt YoYo tightens as your plant grows, eliminating the need to re-hang everyday. It comes wi..